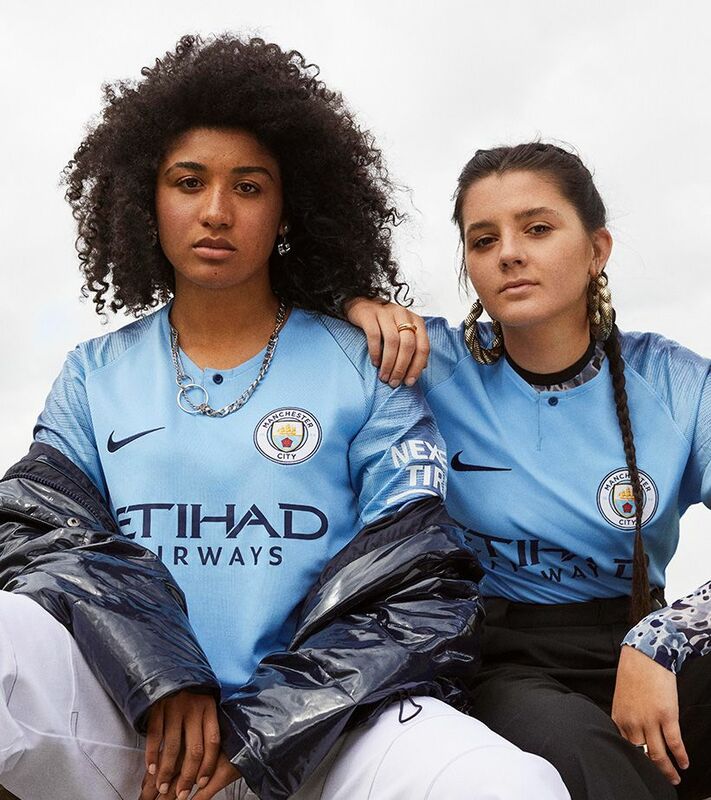 Last season, City took the league by storm. 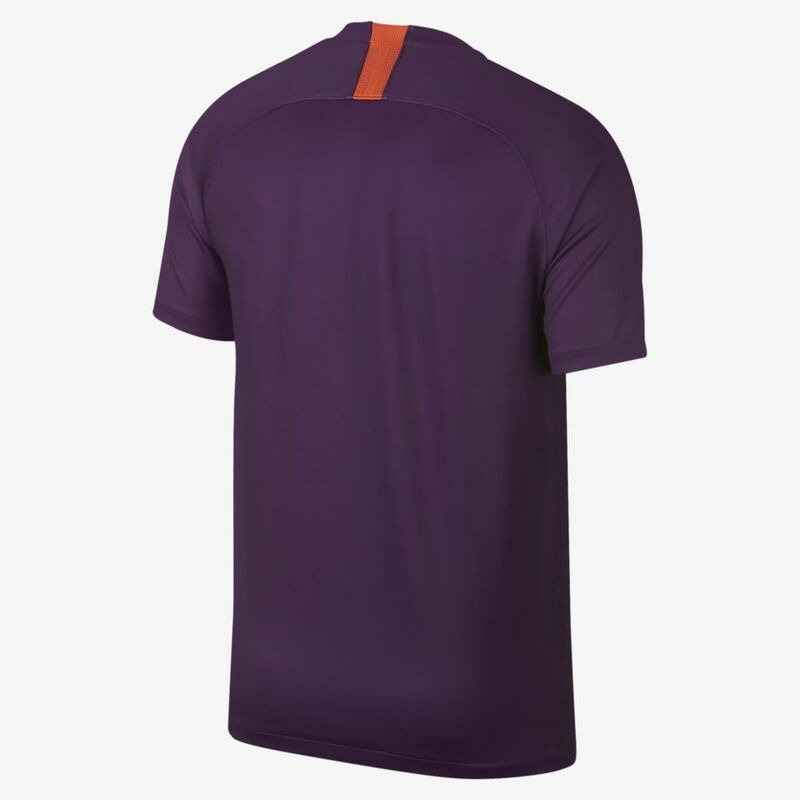 And now, with their new purple kit, they have their sights set on Europe. 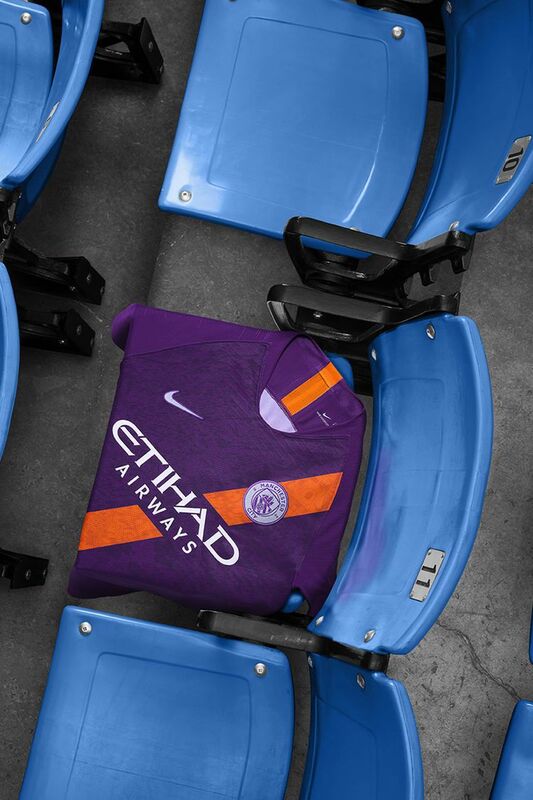 This latest European kit is inspired by the present and the past. 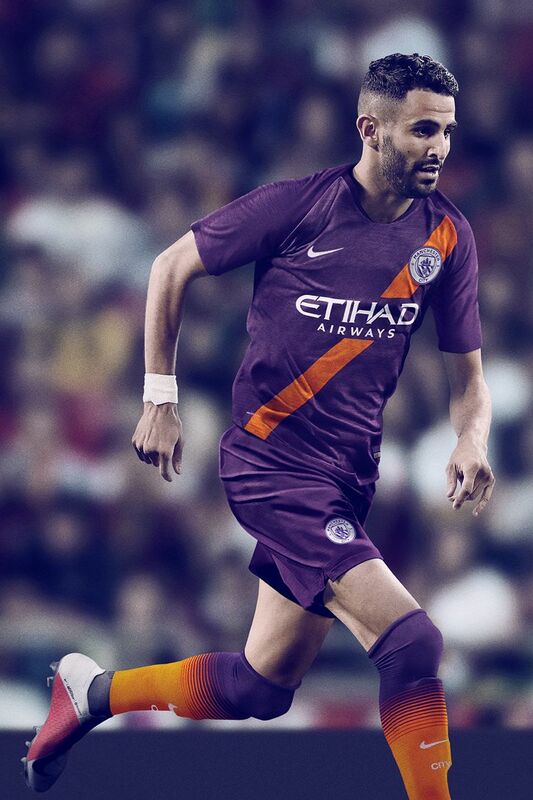 The regal purple base fits their current status as reigning English champions, whereas the orange sash across the front is a reference to kits of the '70s. 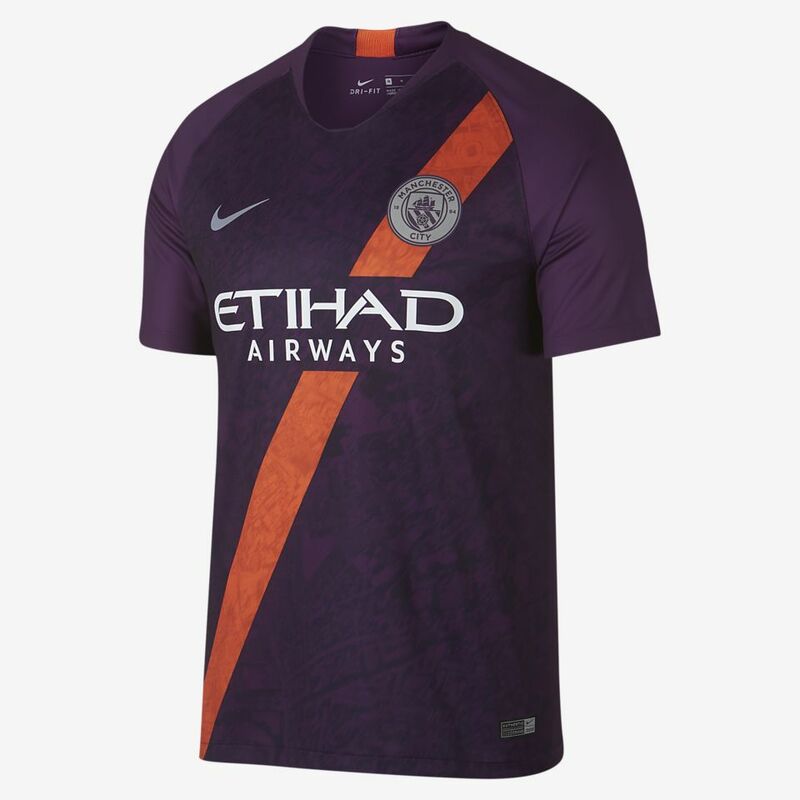 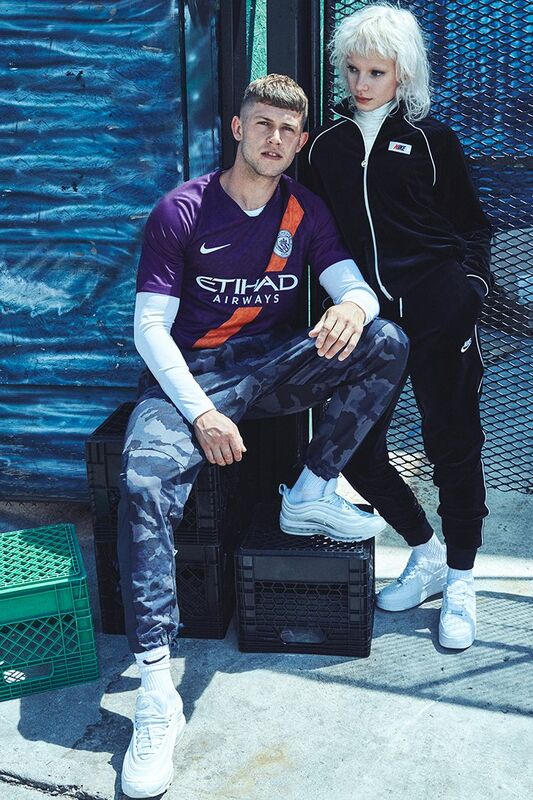 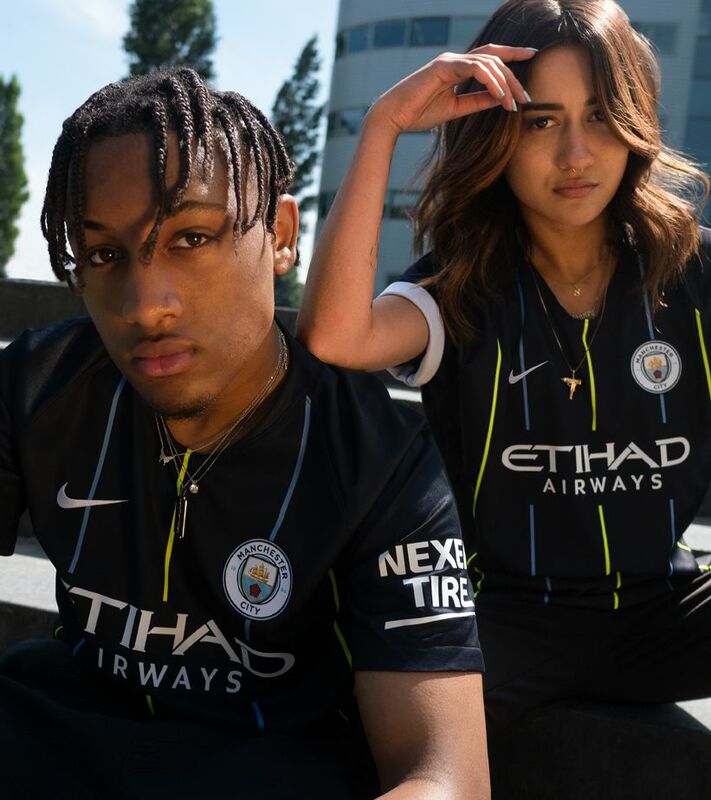 The metallic silver on the Swoosh and club badge represent the trophy every team in Europe dreams of, and the subtle graphic in the background is an aerial shot of the Etihad Stadium and surrounding areas—so the players carry their home ground with them wherever their quest takes them.